Love Handles & Garbage Bins — Copenhagenize Design Co. 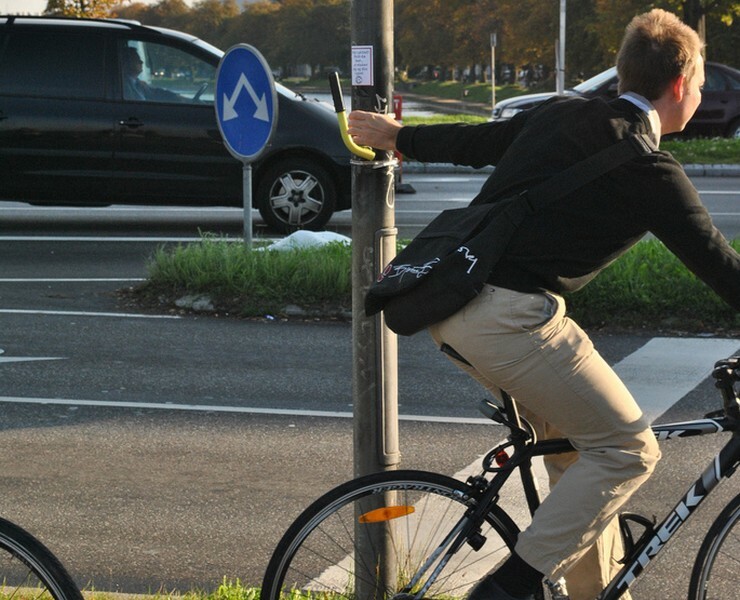 The Copenhagenize Love Handle was a design prototype, attaching handles to light posts to make it easier for cyclists to use them for support when waiting at traffic lights. It was a massive success during the ten days of the pilot project. 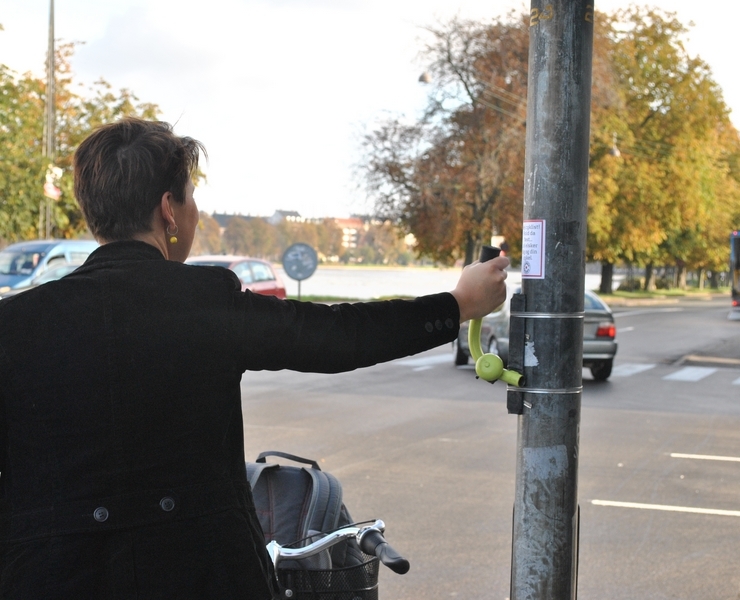 We placed six of them around the city, on busy bicycle routes. When the team was taking them down, people protested, saying they loved them. We also set out to track the behaviour change during the course of the pilot project. When something new appears on cyclists regular routes, how long does it take for people to notice? Would people use the love handles? It seemed so!